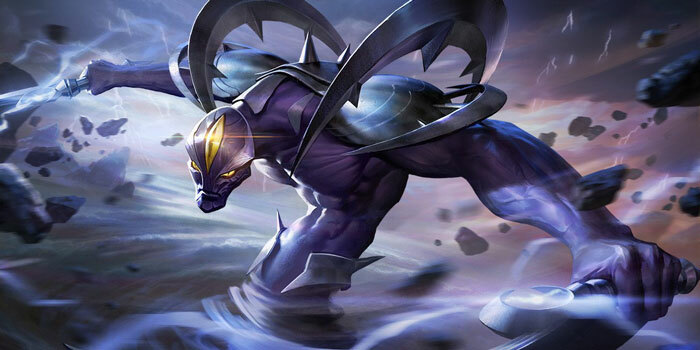 Guide for the hero Zill, a character in Arena of Valor (AoV). Included are Zill’s abilities, statistics, attributes, strengths, weaknesses, and more. *Not available on Indian servers. Zill’s abilities place Marks of the Wind of their targets when dealing damage. At 3 stacks, enemy movement speed is reduced by 80% for 0.5 seconds. Marks will last for 5 seconds. When Zill’s normal attacks deal damage to targets with 3 marks, Wind Shift’s cooldown is immediately refreshed, and the targets take an additional 150 (+0.4 AP)ˀ .
Zill’s normal attacks deal additional 40 magic damage, 65 (+10/level) magic damage when they hit a monster. Minions and monsters are affected by Dustdevil and take additional 40 normal attack damage, even if not displaying a visible mark. Zill tosses his scythes forward, dealing 200/240/280/320/360/400 (+0.4 AP) magic damage to all enemies in their paths and reducing their movement speed by 50% for 1.5 seconds. The scythes then fly back to Zill and deal 300/360/420/480/540/600 (+0.6 AP) magic damage to all enemies in their path. Blades return back to Zill regardless of his location. Zill blinks to the target location and deals 260/300/340/380/420/460 (+0.45 AP) magic damage to nearby enemies. Zill turns into a tornado for 1.5 seconds and attacks nearby enemies 5 times, dealing 300/550/800 (+0.5 AP) magic damage each hit. Once a target is hit, subsequent hits only deal 40% damage. Zill cannot be targeted or attacked while in tornado form. Does not activate if there is no enemy in range. Zill gains invincibility as long as he performs Tornado. Zill is able to avoid damage from abilities when using Tornado, so use it at opportune moments. Make sure you attack enemy heroes again after marking them 3 times as normal attacks trigger additional damage when a target has 3 marks. Our recommended order for Zill abilities as he levels up. See all of Zill’s item builds. You are correct. The page has been updated to reflect this.